Dr. Anthony Massey grew up in New Orleans, Louisiana. He earned a BA and MBA at Johns Hopkins, and an MD from the Louisiana State University School of Medicine in New Orleans. He completed his internship in the US Navy and residency in psychiatry at Sheppard Pratt Hospital. He is board-certified in both psychiatry and addiction medicine. 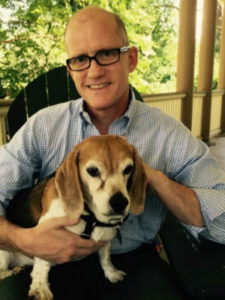 Dr. Massey is a retired from the US Navy, having served as a physician in East Asia during Operation Desert Shield and during the Iraq War as an addiction medicine psychiatrist. Also, he was on faculty at the University of Maryland School of Medicine in the departments of psychiatry, internal medicine and family medicine. Dr. Massey has worked with adolescent and adult patients in hospital and in outpatient settings. Particular areas of focus have been mood and anxiety disorders, attention deficit disorders, addiction, and integrated health and wellness. 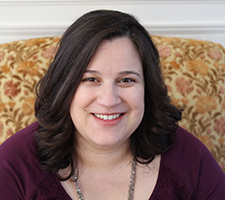 Patricia Dunn is a Licensed Clinical Professional Counselor in the state of Maryland and a National Certified Counselor. 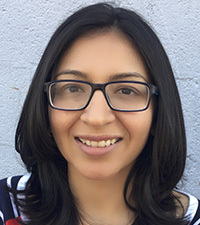 Patricia received her Bachelor of Science degree in Psychology with minors in Sociology and Business, and a focus on Developmental Research, from Virginia Polytechnic Institute and State University. Patricia received her Master of Science degree in Mental Health Counseling Therapy from McDaniel College, where she specialized in Child and Adolescent Psychology, Stress and Anxiety Management, Substance Abuse and Addictions, and Positive Psychology. Patricia has worked in the hospital, in-home and private settings; providing mental and behavioral health care to children, adolescents, adults, families and couples. Patricia has experience working with intellectual and developmental disabilities, as well as court-ordered treatment programs. Most recently, Patricia provided in-home and in-school therapy to Baltimore City and Baltimore County residents and their families. Patricia provides a collaborative, interactive and person-centered approach to therapy for children, adolescents, adults, couples and families. Patricia’s focus at Gladstone is working with children, adolescents and young adults, as well as their families, to help them improve their overall quality of life and work toward a brighter future. In addition to traditional methods, such as CBT and DBT; Patricia utilizes creative therapy techniques, such as art, narrative and adventure therapy, whenever possible. Patricia’s goal is to make therapy a positive and life-changing experience for all involved. Dr. Deloran Wilson is a native of Baltimore, earning her Bachelor of Science in Biology from Morgan State University and her MD from Howard University College of Medicine. She completed her residency training at Thomas Jefferson University Hospital in Philadelphia, PA. She is a board-certified psychiatrist. Dr. Wilson has worked as an attending physician and Assistant Professor at the University of Maryland School of Medicine as well as an attending physician at the University of Maryland St. Joseph Medical Center. Treatment settings include an Assertive Community Treatment (ACT) team, a community mental health clinic and psychiatric emergency services. 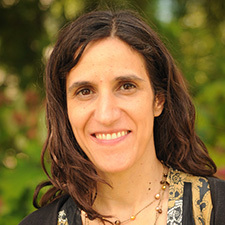 Her professional interests include mood disorders, emergency psychiatry and women’s mental health. Erin McAndrew grew up outside Philadelphia, PA and went on to earn her BSN and MSN at the University of Pennsylvania School of Nursing. She is a psychiatric nurse practitioner and certified inpatient obstetric nurse who has a particular interest in women’s mental health. Her other professional experiences include working in pediatric intensive care and teaching undergraduate nursing students. In regards to treatment, she believes that patient autonomy, pattern recognition, self-care and compassion are integral components of a well-rounded approach to mental health and well-being. Vonetta Davis has worked with patients suffering mental illness and addictions as a nurse and later as a nurse practitioner. Initially she worked on inpatient units at Sheppard Pratt, then she was a medical director for the Kolmac Outpatient Recovery Clinic in Towson, MD. At Kolmac, Ms. Davis developed an expertise in working with patients who are dually diagnosed with addictions and other mental illnesses such as anxiety and depression. At Gladstone, Ms. Davis works with adult patients who have psychiatric illnesses both with and without the additional comorbidity of addictions. Her treatment philosophy is pragmatic—the treatment that works best is the one her patients agree to and have confidence in. This also often involves substantial attention to non-medication things such as improving lifestyle behaviors and relationships. She is also trained and certified to prescribe medications for addictions, including naltrexone and buprenorphine. Mandy Smith is native to Maryland and thrilled to call Baltimore her home. 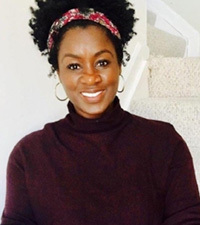 She earned her BA in Philosophy from the University of Maryland and then winding her way between work, travel and school, eventually earned her MA in Psychology Counseling with a focus on how mindfulness and the mind/body connection can enhance all aspects of life. She is a Licensed Clinical Professional Counselor specializing in addictions, trauma, depression, anxiety and life transitions. She is certified in Eye Movement Desensitization and Reprocessing (EMDR) and is a Certified Addictions and Drug Supervisor. Over the years, Mandy has served in many different roles. After working as a Community Organizer for the City of Rockville, she moved to Baltimore to open an outpatient mental health clinic and was the Clinical Manager at Contemporary Therapeutic Services. Becoming more and more interested in substance abuse disorders, she went on to work as the Program Director at two inpatient co-occurring treatment facilities (Spectrum Health in Sykesville and Second Genesis in Crownsville, respectively). She has also worked as the Program Manager at Chase Brexton Health Care’s Substance Abuse Program, and currently serves as the Program Director at Columbia Addictions Center. Mandy believes that having a multi-faceted approach with adults and adolescents who suffer from mental health issues and/or addictions, is the only way to address the complexities of the human experience. Her goal is to help individuals and families learn and heal in a holistic way, to lead fulfilled, balanced and meaningful lives. Coleen Schrepfer, a board certified psychiatrist, moved to Baltimore from New Jersey in 2014 with her family. Dr. Schrepfer completed her adult psychiatry training with a sub-specialization in child and adolescent psychiatry at the University of Maryland/Sheppard Pratt Health System. She earned her doctor of medicine from Drexel College of Medicine, in Philadelphia. Prior to pursuing medicine, Dr. Schrepfer was a practicing pediatric physical therapist at the Children’s Hospital of Philadelphia for 6 years. She achieved her masters of physical therapy degree from the University of Indianapolis after completing her undergraduate degree from the University of Colorado, Boulder in mathematics. 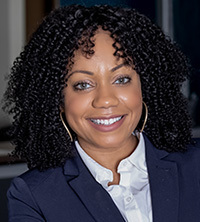 Courtney Joseph, D.O., grew up in the suburbs of Boston, Massachusetts and earned her undergraduate degree from Emory University in Atlanta, Georgia and her medical degree from Des Moines University in Des Moines, Iowa. She completed her adult residency training at Albert Einstein Medical Center in Philadelphia, Pennsylvania. She completed her fellowship training in child and adolescent psychiatry through the University of Maryland Medical Center and Sheppard Pratt Hospital. She is board certified in adult psychiatry and child and adolescent psychiatry. Particular areas of interest include mood and anxiety disorders in children, teens, and young adults. 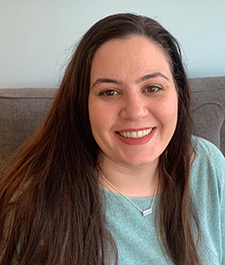 A Licensed Profession Counselor, Elizabeth specializes in Dialectical Behavior Therapy (DBT) which helps clients to change emotions and behaviors. Change is accomplished through collaborative behavior based individual therapy in combination with group skills training to promote emotion regulation, distress tolerance, interpersonal effectiveness, and mindfulness. The goal of DBT therapy is to work toward the client’s best life. As part of the Gladstone DBT team, Elizabeth provides the full, comprehensive DBT protocol comprised of individual therapy, group skills training, and phone coaching. She received her Masters of Science in Counseling Psychology from Loyola University Maryland. Rebecca Blake, LCSW-C grew up in the Baltimore area and holds undergraduate degrees in Sociology and Women’s Studies. 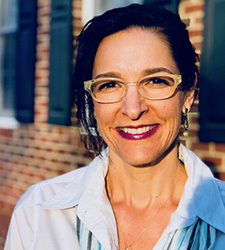 After working in the fields of domestic violence and child welfare, Rebecca pursued her Master’s degree in Social Work at Salisbury University. She continued her career working with adults in an outpatient setting, as well as adolescents and their families in outpatient, inpatient, and residential settings. 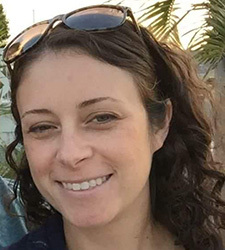 Rebecca gained training and experience in Dialectical Behavior Therapy in a comprehensive DBT program in an adolescent residential treatment center at Sheppard Pratt Health System. As a therapist, Rebecca values being genuine and authentic and encouraging her clients to make positive changes in their lives in order to become their best possible selves. Christina White, LCPC grew up in Vermont. She received her undergraduate degree in Political Science at Manhattan College. During college and after graduation she volunteered as a teacher in Sri Lanka and Montana. Working as teacher inspired her to pursue a degree in School Counseling at Loyola University. While pursuing her degree, Christina worked in fields of domestic violence and criminal justice. She began her counseling career in the school system before working at an adolescent residential treatment center with adolescents and their families. There she received training and experience in providing comprehensive Dialectical Behavioral Therapy. Christina is also certified in Trauma Focused Cognitive Behavioral Therapy (TF-CBT). She specializes in working with children, adolescents, and families. As a therapist, Christina values taking a trauma centered approach and helping her clients find a relief from emotional suffering. Dina Sztein M.D., M.P.H., grew up in Columbia, Maryland, and earned her BA at Haverford College in Pennsylvania. She completed her medical and psychiatry training at the University of Maryland/ Sheppard Pratt Residency Program and is a board-certified psychiatrist, as well as a board-certified child and adolescent psychiatrist. Her particular areas of interest include treatment of school-aged children with attention deficit disorders or anxiety disorders and public health initiatives. Sarah Gumpert is a native of this community and holds BS degrees in psychology and nursing. She attended the University of Maryland School of Nursing for her MS degree, specializing in psychiatric mental health. Sarah has over 5 years of experience in the mental health field working in both hospital and outpatient settings. She is fluent in sign language and has a special interest in working with the Deaf community. 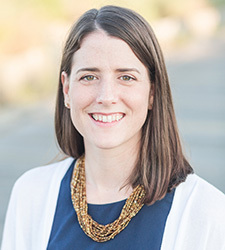 Sarah’s approach includes understanding a person’s strengths and interests in addition to their needs, in order to create a specific and unique treatment plan. Dr. Merti grew up in Kensington, Maryland, and earned a B.A. in English Literature from Georgetown University and an M.D. from the University of Maryland School of Medicine. She’s board certified in psychiatry and has a strong interest in treating addictions. She strongly feels any underlying psychiatric illnesses, such as anxiety and depression, must be fully treated to have recovery from addiction, and vice versa. Also important for recovery is the engagement of a patient’s support system, including key people in the person’s life and community resources. 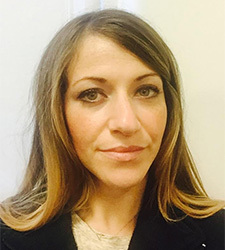 She completed residency training in psychiatry at the University of Maryland / Sheppard Pratt Residency Program and a fellowship in addiction psychiatry at the University of Maryland Medical Center. Dr. Khanna is a board certified Psychiatrist with expertise in Addiction Psychiatry. She is able to prescribe buprenorphine for opioid use disorder (like heroin or oxycodone) in adults. 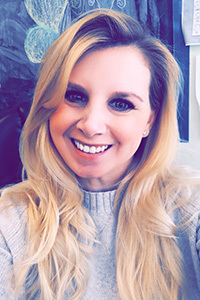 In addition to providing evidence-based pharmacological treatments, she has an expertise in Motivational Interviewing (MI), Cognitive Behavioral Therapy (CBT) and Supportive Psychotherapy. She takes an integrative, holistic approach to substance use disorders and often incorporate mindfulness-based interventions during sessions, with an aim to provide high quality, patient-centric psychiatric care using a collaborative approach. 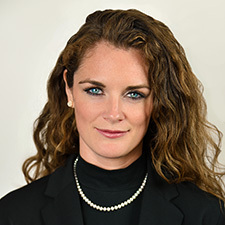 Kathleen Swanson has a bachelor’s degree in psychology from Brown University and a BSN from University of Maryland. 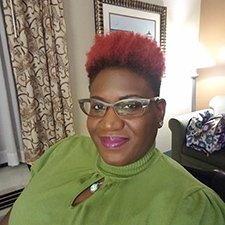 After working as a nurse in inpatient psychiatry, she returned to University of Maryland School of Nursing to complete the psychiatric nurse practitioner program with a MS degree. Kathleen is a board-certified psychiatric nurse practitioner and works with teens and adults needing medications to treat psychiatric conditions, including: depression, bipolar disorder, anxiety, ADD/ADHD, OCD, PTSD and other mood and anxiety-related conditions. She enjoys educating and collaborating with patients, so they can be autonomous and informed participants in treatment. Her experience as a psychiatric nurse practitioner includes working with those who suffer dementia and medical illnesses in assisted living and nursing facilities, working with teens and adults with developmental disabilities and collaborating with primary care providers to offer integrated mental health care. Temika has worked as a Psychiatric Mental Health Nurse Practitioner and Family Medicine Nurse Practitioner for over 15 years. She has expertise in general psychiatric treatment, addiction, crisis stabilization, nursing home care, and assisted living facilities. Particular areas of interest include depression, bipolar disorder, anxiety disorders, ADD/ADHD, OCD, PTSD and use of buprenorphine for the treatment of opioid addiction. Temika’s core values are providing care that focuses on the individual, realizing that each patient is unique and has specific health needs. Temika believes in building a long lasting and trusting relationship with her patients. While in partnership with her patients, she ensures that confidentiality and safety are held paramount when working toward achieving mutually desired outcomes. “As a person-centered therapist, I use unconventional techniques in my eclectic and integrative approaches to treatment. Which not only includes talk therapy but also expressive therapies. This is the foundation of my theoretical orientation, one that has served clients in the office and community. The collaborative efforts between my clients and I calls for an environment that welcomes and fosters change, offering the tools necessary to be successful through guidance and motivational pursuits. I am a psychotherapists who specializes in substance use addiction. I also work with clients who struggle through various other conditions such as trauma, depression, anxiety, and adjustment disorders. Dr. Gamber grew up in central Pennsylvania and earned a Bachelor of Science degree from Juniata College and an M.D. from the Penn State College of Medicine. 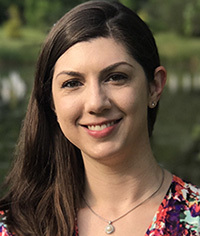 She completed her adult residency training and fellowship training in child and adolescent psychiatry and eating disorders through University of Maryland Medical Center and Sheppard Pratt Hospital. She currently works with adults and has special interests in treating depression, anxiety, and PTSD. Dr. Gamber believes strongly that a multi-faceted treatment approach, of which medication management is only one component, is necessary to adequately address symptoms and achieve wellness. She feels ongoing psychotherapy and lifestyle changes are critical in mental health treatment. She enjoys working with patients to first identify whether medication is an appropriate treatment option for them and then to find the lowest effective dose and fewest number of medications that can address their symptoms. She experiences joy in seeing patients recover and meaningfully engage in work, personal relationships, hobbies and their unique passions. 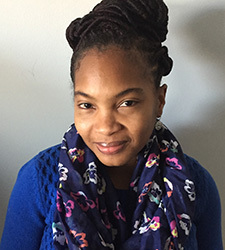 Talithea Ransome grew up in Baltimore and is a graduate of the Baltimore City Public Schools who is studying psychology at Catonsville Community College. She has built her career around helping people, including adults and juveniles in the corrections system and clients of the Social Security Administration. She’s also worked with clients in rehabilitation. As Gladstone’s Operations Director, Talithea communicates with patients, their families, pharmacists and insurance companies. Her goal is to provide outstanding service and foster the wellbeing of every patient. 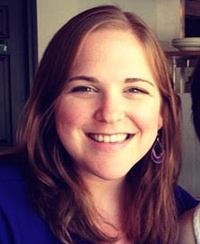 Rachel Baldus grew up in Baltimore, Maryland and earned a Bachelor’s degree in psychology from New York University. She worked for many years at Sheppard Pratt, and chose to return to school to study nursing. She has acquired a great deal of experience in psychiatric nursing working on an inpatient crisis stabilization unit, and has also trained as a chemical dependency detox nurse. Rachel’s role at Gladstone is to coordinate patients’ medical and psychiatric care, and to communicate with insurance companies, in an effort to ensure that each patient receives comprehensive and seamless care.